It's been three years in the making, but helicopter crews who flew during the Vietnam War will have their own monument at Arlington National Cemetery. 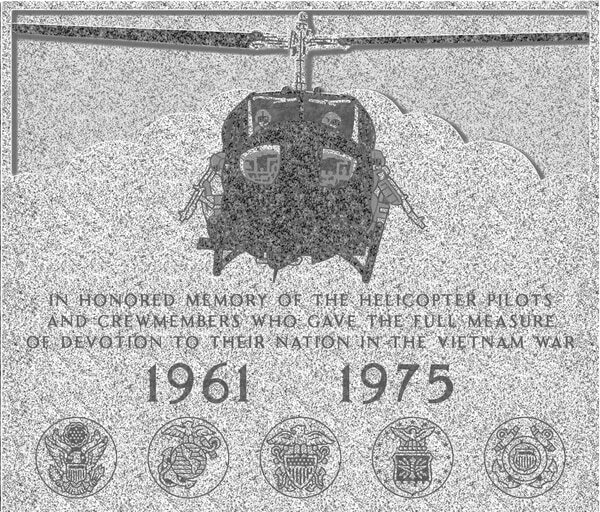 The Vietnam Helicopter Pilots Association and Arlington National Cemetery worked together on a compromise, and Congress introduced the Vietnam Helicopter Crew Monument Act to support the mission. The 2 1/2-foot by 2 1/2-foot monument will be placed in Section 35 along Memorial Drive, not far from the Tomb of the Unknowns, in the Virginia cemetery. Retired Air Force Lt. Col. Bob Hesselbein, who flew AH-1 Cobra gunships in Vietnam, helped spearhead the campaign for the memorial. In April 2014, Hesselbein, legacy committee chairman of the pilots association, and other members went to Arlington Cemetery to discuss donating a tree. Instead, one of the historians suggested donating a monument. 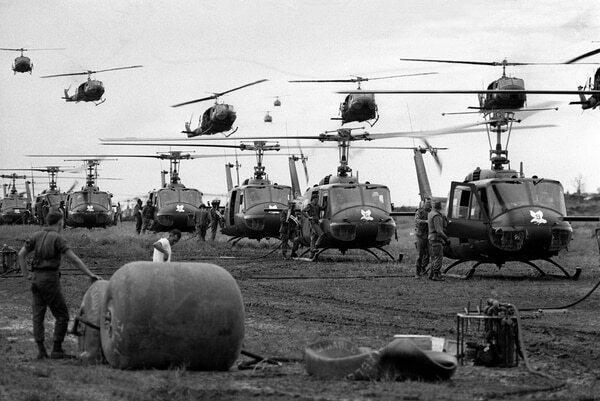 "We discovered that the greatest concentration of combat casualties who operated helicopters in the Vietnam War are in Arlington," he told Military Times on Thursday. The association members completed the lengthy application process before the end of 2014, but the cemetery's advisory committee was deadlocked 3-3 on the proposal. "The prime directive for the cemetery is to do everything it can not to initiate an action that would displace an otherwise-eligible veteran," McHugh told Time magazine in 2016. "On a very tough decision, that philosophy and unwritten rule was the determining factor." McHugh said the association could donate the tree, as originally intended, but Hesselbein said just having the tree marker didn't give justice to those who lost their lives. The Vietnam Helicopter Pilots Association members sought action from Congress, and through publicity and nationwide support from the community, the Vietnam Helicopter Crew Monument Act was introduced. Sens. Tammy Baldwin, D-Wis., and Dan Sullivan, R-Alaska, introduced the bipartisan legislation. Companion legislation was introduced on the House side by Rep. Mark Amodei, R-Nev.
Baldwin told Army Times that she was moved by Hesselbein's stories of his own experiences during Vietnam, including "stories of his friends and comrades that he still knows and those that he lost," she said. 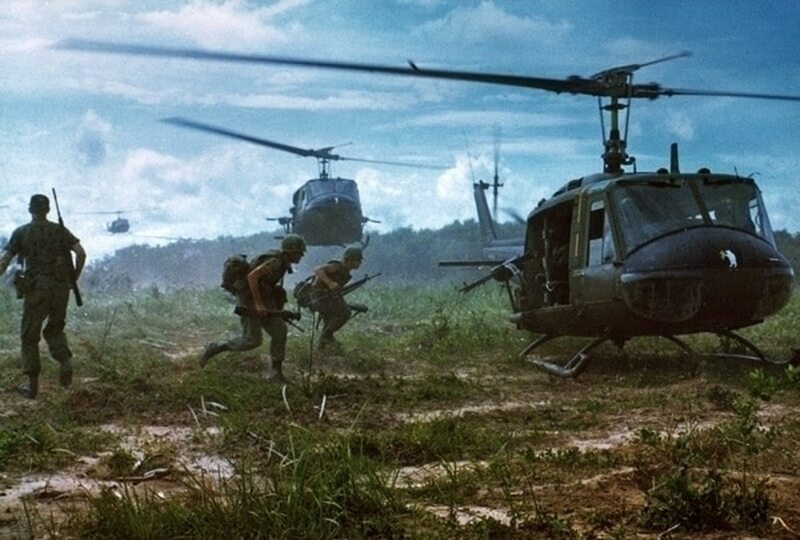 The Vietnam War was known as the "helicopter war" because the United States relied heavily on the aircraft to transport troops and provide close-air support. A monument that honors the Vietnam-era helicopter crews is important not only for family members who visit Arlington Cemetery to see their loved ones, but also for those who aren't directly impacted. "It's a teachable moment," she said. "It gets people involved and gets people to understand the story of the helicopter pilots and crew members killed during the Vietnam War." Staff from Arlington National Cemetery met with members of the pilot association in March, and the two parties were able to agree on the size of the memorial. Hesselbein said thousands of people contacted members of Congress to show their support for the monument, which the Vietnam Helicopter Pilots Association is funding. He recognizes that the primary mission of the cemetery is to provide grave space for American heroes who died, but the secondary mission is to be a national shrine. Tourists who visit Arlington don't necessarily go there to look at the graves but to see the Tomb of the Unknowns and other memorials. "People need to create memorials and monuments to honor those who give the ultimate sacrifice," Hesselbein said.